Scientists at UCI's Irvine Materials Research Institute have made a breakthrough in directly imaging a platinum precursor compound and its dynamic transformation into nanocrystals. 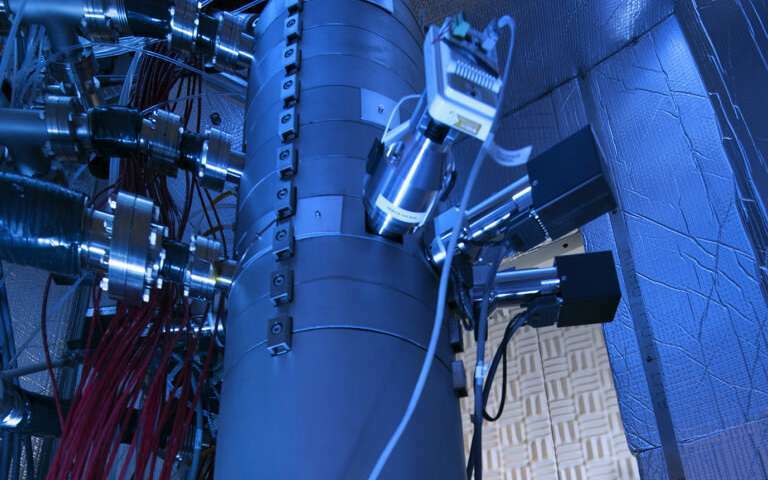 The observation was made in real space and time in IMRI's state-of-the-art transmission electron microscope facility. The research team's results were published today in Science Advances. Knowing the dynamics and kinetics of materials transformation is useful in that it can lead to the ability to fine-tune substances to exhibit desired properties beneficial in fields ranging from energy conversion and storage to pharmaceuticals. Scientists have previously had difficulty imaging the nucleation and growth of novel crystalline nanomaterials because their chemical precursors are highly sensitive to the electron beams needed for atomic-resolution microscopy. "These compounds have weak bonds, so the very act of observing them in the early stages of transformation via TEM prompts ionic reduction and damage to the precursor," said Xiaoqing Pan, IMRI director and Henry Samueli Endowed Chair in Engineering at UCI. "Our approach was to use an ultra-low electron dose in our TEM, which enabled us to identify the structure, capture and reveal the dynamics of the staged reduction of the compound," said study co-author Pan, who is also a UCI professor of materials science & engineering as well as physics & astronomy. He said that this new method of achieving atomic-scale resolution of the phase change of platinum compounds from precursors to nanoclusters can be employed in the study of such dynamics across the materials science research field. The study was supported by IMRI and the National Science Foundation.